Waterproof cable, as the name implies, there is a cable to prevent water immersion, hydrolysis function. Generally speaking, the need for outer jacket material has a waterproof function. The out jackets were made of waterproof rubber, the cable is also filled with waterproof rubber, cable jacket with waterproof rubber sheathed for submersible pumps, coal mines, underwater operations, water lights and other water treatment equipment, used for outdoor power connection. 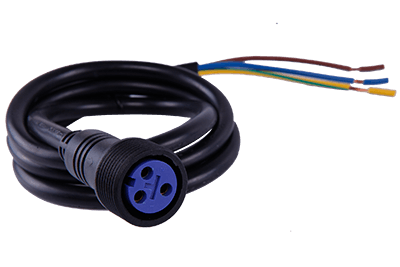 QL-Custom is committed to custom innovative waterproof connection cable, we have designed a world-class waterproof over IP68 products, is a trusted waterproof design experts. >> What is Waterproof Cable ? SJTOW, SOOW, SJTO, these cables has their self waterproof function. Since these cable insulation and jackets could be anti- corrosion to water, not current we can see the PVC in our life everyday. These PVC materials before extrusion had been added waterproof or Fireproof elements. Even you need them working underwater for your projects long term. These cables could be surviving longer than current PVC. 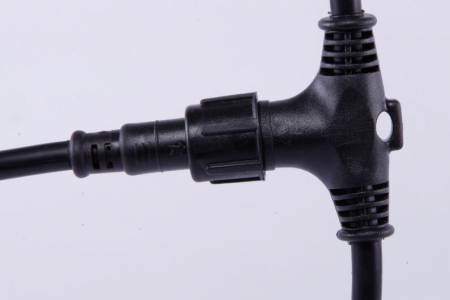 We are talking about these waterproof cable is the overmolded connector with mating. In submarine works or outdoor lights like on Road or Solar lights, a quick disconnecting for inspection and installation you have to screw them on/off, these equipments working long time under bad weather that the waterproof cable is the most considerable in your system.